Recommended Comp for high keys: Seat of the Triumvirate is an AoE heavy instance that heavily favors bringing ranged DPS. There are also several key interrupts so 1 melee + 2 ranged is likely to be the strongest mix. The two Famished Broken packs patrol in a circle around the boss. They actually deal very heavy tank damage through the debuff they apply (Dark Withering) so you'll want to be careful how many you grab at once. They also channel Consume Essence which you'll want to interrupt since a full cast'll net them several million extra HP. 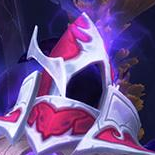 Stun Dark Withering if your tank already has a few stacks to avoid it one shotting them. The subjugators aren't too dangerous if handled correctly so let's look at their primary ability: Suppression Field. This is completely harmless if you stand still, however moving will deal heavy damage to you and everyone within 6 yards. Don't move! There is a weak aura down the bottom of the page if you need a reminder. You can also clear the debuff with anything that removes slow effects (Druid shapeshift, Blessing of Freedom). [Volcanic] Ok, you can move to get out of volcanoes, but as little as possible! After the boss is dead you'll want to pick up this patrol, or another nearby pack and pull them through the hallway in front of you. There's 45 seconds of RP to wait through so this'll give us something to do while we wait. You'll see targeting areas like this pop up every ~30 seconds. A little void meteor will crash down after a couple of seconds and you'll have to clear some Fragmented Voidlings. They aren't worth any trash percentage but you'll need to take care of them all the same. Just pull them into your next pack, they aren't dangerous enough to stop for. Before you can engage the second boss you'll need to clear three void rifts as pictured above. They are guarded by five Void Discharges and a Rift Warden but the portal will die as soon as the Warden dies. The Void Discharges all pull individually and can be skipped but they're easy percentage so we'll pull them together with the Warden. Do interrupt Stygian Blast. It's a long fear and if it goes off you'll almost certainly end up with more trash. You're likely to encounter the War-Adept in this area and you should grab it if it roams close. Spread at least 5 yards and face the mobs away from the party since the Stalker has a pounce (standard Legion cat) and the War-Adept cleaves. It isn't a particularly special pack otherwise. - The instance is trash heavy and you don't need any extras to hit 100% - pull as little non-essential trash as possible. In most cases you can get away with pulling just 1 extra pack in addition to each Rift Warden. - Stay grouped up to minimize accidental trash pulls. Since you're curious, these giant black holes will slowly pull you to the center but you won't be crushed, nor sent to a different dimension if you reach the middle. Alright, you've cleared all three portals and made it to the second boss. There are two patrols that roam through his area and you'll want to kill both before engaging him. Face the Champions away to avoid the cleave. The second patrol is to the north of the boss featuring a Subjugator, Stalker and Riftstalker. It's a pretty easy pack, but remember not to move with the Suppression Field debuff. You can skip the Subjugator / Champion pack pictured by jumping in the water to the left but it's a little tough to pull off and only necessary if you picked up too many trash mobs while killing portals. We are going to skip the packs on the left and right so after the Void Discharge are dead you need to walk up the middle of the path. It isn't too tight but an accidental pull can be very messy. If you're risk averse or if you've brought somebody that doesn't have a great grasp of moving their character then hang left and clear that pack. You can expect 26.7% trash from the rest of the instance after you've cleared these Void Discharges. If you still need more than that then pick up the pack on the left here. All of this trash will pull with the boss if not cleared so we'll need to grab every pack. 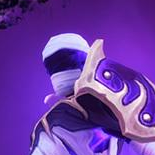 The Voidbenders will throw Corrupting Void onto a random player. This will drag all nearby players toward the person with the debuff and then explode after 8 seconds. The damage is not that high, so I'd advise just stacking up on the debuffed player and ignoring it. 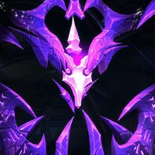 The Grand Shadow-weaver will summon an Unstable Dark Matter. This needs to be killed within 4 seconds or your party will take heavy AoE damage. It has barely any HP so you're better off killing it than ignoring it. After killing Viceroy and IF you still need more than 5.8% trash then pull these Void Discharge packs while you wait for the 40 seconds of RP to finish. Assign one interrupter to each Rift Warden to keep the Stygian Blasts under control and just AoE down the Lashing Voidlings as they spawn. Copy and paste this into the Exorsus Raid Tools Notes section. You can share it with your group. Pull the subjugated pack through the hallway. Kill it while waiting for RP. Head to each portal and kill the RIft Guardian. Clear only essential trash on the way to each portal. After three portals are cleared head to Saprish. – One contains a Champion, Stalker, Shadowstalker. – The other a Subjugator, Stalker, Shadowstalker. Kill the three pack on the stairs. Kill the five Void Discharge mobs. Skip the packs to either side by walking up the middle. Kill all packs near Viceroy – They pull with boss. Pull the five discharges to the left while you wait for RP. Where your tank and healer will argue about whose fault it is that the tank got one shot. The boss deals 100% more damage when standing in any void zone. This makes Decimate incredibly dangerous. Decimate is on a timer, the boss cannot be standing in the void during the cast. The Void Sludges will explode if they reach the boss, dealing heavy AoE damage. They also drop void all over the area so it’s in your best interest to kill them as quickly as possible. They can be stunned, slowed and rooted and you should do so where possible. 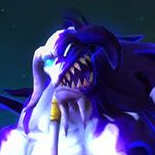 Every so often a random non-healer player will be targeted by Umbral Shift, moving them to the Void Realm (spooky). While in the void you’ll need to kill the Dark Aberrations and each will give you 10 void energy on death. When you reach 100 you’ll get an extra action button that’ll stun the boss and triple his damage taken for 20 seconds. Don’t let the adds hit you – you can die down there and this can really hurt your attempt. Anyone Fixated by the boss needs to run away and avoid getting hit even once. You can run through the void if necessary but keep it to a minimum. Saprish enjoyed rhyme so much he adopted both a Cat and a Bat. Void Traps tend to cluster near the boss. Avoid them, and avoid the Ravaging Darkness which is a cone AoE from Darkfang. He’ll cast it after teleporting to you and you should be able to avoid it without taking even a single tick of damage. Spread out around the room to minimize the amount of movement you have to do and to prevent Umbral Flanking from hitting more than one person. Dread Screech is a priority interrupt. Missing even one can easily be a wipe. Take care that you don’t wander into a nearby trash pack. Void Traps can be cleared with Anti-Magic shield or an immunity if you’re in a tough spot. The boss and his pets all share a health pool. Triple DoT as much as you like and pick whichever target is easiest for you to DPS. This fight has a few too many tentacles for my puritan sensibilities. Eternal Twilight AoE Shadow Interruptable One Shot! You must interrupt Howling Dark (likely wipe) and Eternal Twilight (definite wipe). Tank the boss toward one side of the arena to minimize the danger of the Entropic Force push back. You’ll need to interrupt a Dark Blast cast in order to move him since he doesn’t use any melee attacks otherwise. It takes several minutes for the collapsing void encircling the area to reach the boss. You’re toast much earlier than that though since you’ll need some room to move around to kill off Void Lashings. The fight combines that sustained DPS check with a burst DPS check in the add spawns that must die as soon as possible. Two Shadowguard Voidtenders are summoned when the boss hits 100 energy and they’ll put an impenetrable bubble on the boss while they live. You have 10 seconds to kill both and interrupt the Eternal Twilight cast. Assign one person to interrupt this specifically so you don’t end up in a game of ‘who has the interrupt?? ?’ when there’s half a second left on the cast. Anyone else getting Mu’ru flashbacks? The Rift Wardens will each cast one Fragment of Despair which forms a purple circle on the ground that you must stand in to soak. The soaker will take moderate damage but if the Fragment is not soaked the entire party will take heavy damage and likely be one shot. You’ll get two waves of Rift Wardens. The first has one, and the second two. After you clear a wave L’ura will be stunned for 12 seconds and take 3x the damage. Phase 2 will begin after the second Backlash and consists of ever increasing AoE damage to the party. You’ll also need to stack up during Grand Shift casts since it’ll cover the area you’re standing in Remnants of Anguish (the purple stuff on the floor) and by stacking toward the side of the room you can keep it out of the way. Phase 2 is a moderate DPS check though not usually problematic if you got some good damage in during the two Backlashes.